Seven-round Seahawks mock draft: Which position will Seattle take with its first pick? The Seahawks don't have a pick until the fourth round after their selection No. 18 overall. Will they go offense or defense first? Here's our annual stab at who Seattle could take with each pick. With most of the significant free agents spoken for, NFL teams now turn their attention to the NFL draft from April 26-28 — just a little over three weeks away. Free agency also helped clarify team needs a bit, which makes it a good time to unveil our annual seven-round Seahawks mock draft. The usual caveats apply, of course — the Seahawks are undoubtedly going to explore options to add more picks in later rounds by trading out of the first (they haven’t used their actual first-round pick since 2011), and trying to guess what Seattle (or any team, really) will do is ultimately a mostly fruitless endeavor. So no, the assumption here isn’t that the Seahawks will actually make any of these picks. Instead, it’s our guess as to what might make sense given how the roster looks at the moment. As of Tuesday afternoon, the Seahawks had 61 players under contract for the 2018 season — teams can have 90 heading into training camp — with just over $9 million left in salary cap space. Preamble over, on to the picks. The Seahawks kept Dion Jordan in the fold, also re-signed Marcus Smith and signed free agent Barkevious Mingo to bolster the pass rush. But as coach Pete Carroll often says, a team can never have enough pass rushers. And each of the above players can hardly be considered as sure things given their histories. Seattle also will likely soon make it official that Cliff Avril is done, and no one appears to have any idea if Malik McDowell will ever play. All of which means another edge rusher would make a lot of sense. Landry had a huge 2016 season (16.5 sacks) before tailing off last year (5.0) in part due to injury. Some analysts project him as being best suited for a 3-4 defense. 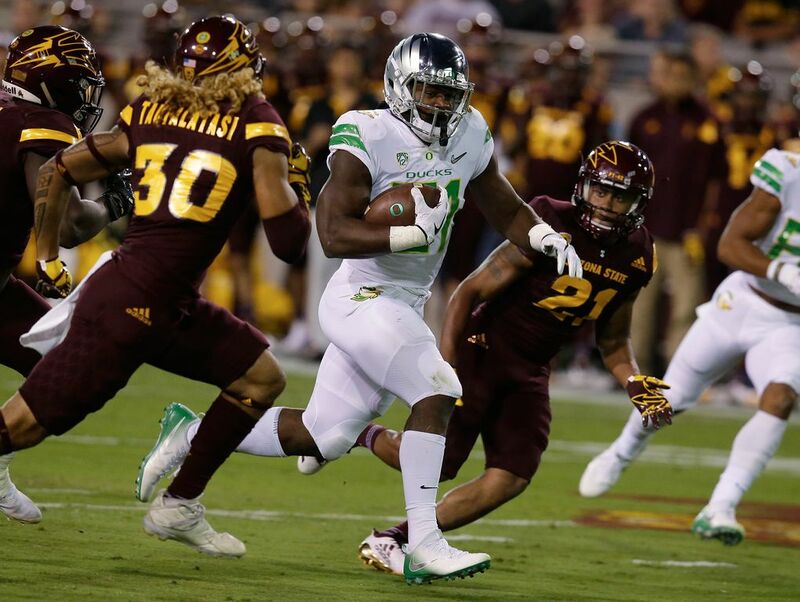 But if he’s there at 18, the Seahawks might view his pass-rushing ability as reason enough to take him and see if he can be at least a situational pass rusher in 2018, with the ability to maybe also be a strongside linebacker in base downs down the road. Seattle’s current tailback depth chart — Mike Davis, Chris Carson, C.J. Prosise, J.D. McKissic — seems to indicate it plans to add a running back in the draft. Davis had some promising moments but is on a one-year contract and can hardly be considered a proven number one running back yet. Carson and Prosise have to show they can stay healthy. This is considered an especially good year for running backs, which should allow the Seahawks to still find a quality player in the mid-rounds. 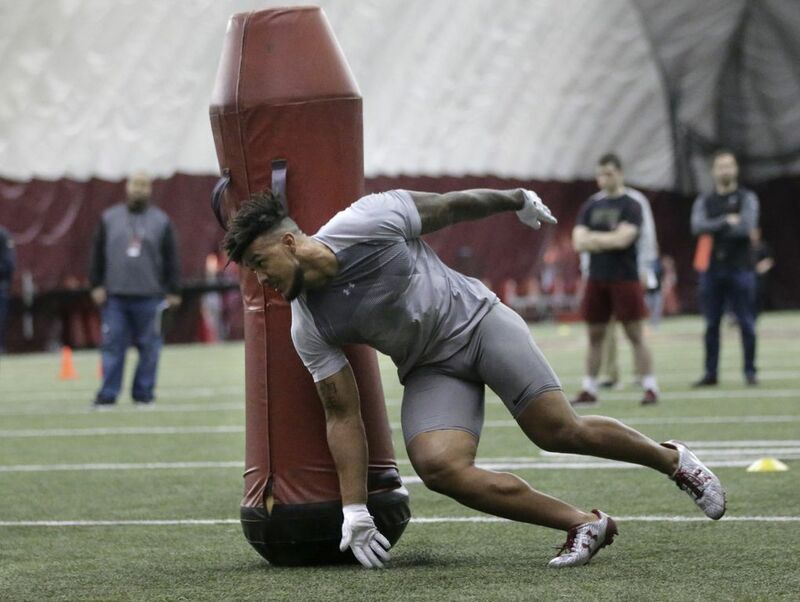 Some project Freeman to go a little higher, though ESPN’s Mel Kiper Jr. pegged him recently as a “fourth or fifth round’’ guy. At 5-11, 235, Freeman would seem a natural for helping the Seahawks get back to being a physical running team. The Seahawks are expected to re-sign Byron Maxwell at some point, and could perhaps pair him with Shaquill Griffin as the boundary corners in 2018, with Justin Coleman at the nickel. But the loss of Richard Sherman means Seattle needs to get another young corner to groom for the future. Facyson seems to check a lot of the right boxes — he has long arms (32-5/8 inches), is tall enough (6-2, 197) and could be perceived as player whose upside is greater than where he will be drafted. Some question why he didn’t have any interceptions his last three years, though, he set a school record for passes defended at 44, and he also battled a few injuries. 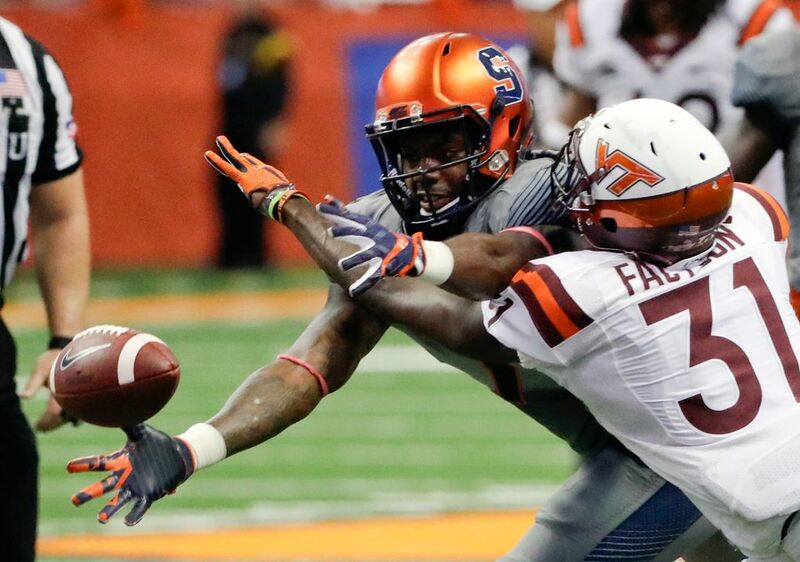 And, well, the Seahawks once also had good luck taking a defensive back in the fifth round out of Virginia Tech. The Seahawks added Jaron Brown in free agency to replace the departed Paul Richardson. But the Seahawks are hardly flush with proven receivers and also have Tyler Lockett entering the final year of his contract. Tate is big — 6-5, 225 — and anyone reading this hardly needs reminding how the Seahawks have been trying to find a consistently productive big receiver for years. Tate has drawn a lot of mixed reviews due in part to a pedestrian 4.68 40 at the NFL combine. But his size alone figures to assure he won’t slip far. He’s also regarded as a good blocker, something the Seahawks may value more than most teams, as they try to re-establish a physical offensive identity. Tight end is another spot where Seattle’s current depth chart suggests they expect to add one in the draft. Seattle has just three at the moment — Ed Dickson, Nick Vannett and Tyrone Swoopes. 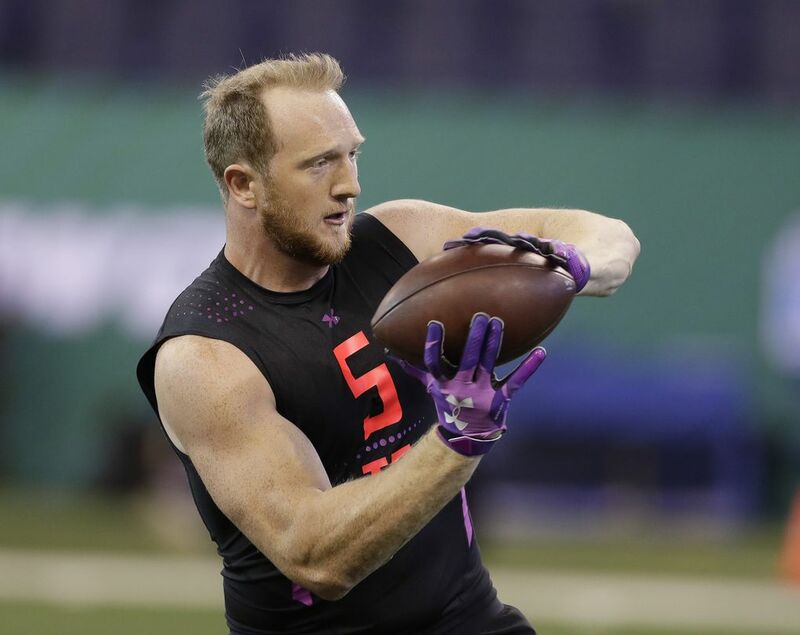 Dissly’s stock rose at the combine, after which NFL Network’s Mike Mayock called him the best blocking tight end in the draft class. The Seahawks appear to want to get back to being a physical offensive front. That Dissly also played just two years of tight end would seem to indicate a lot of room to grow in his receiving and route-running. I can hear many questioning why Seattle wouldn’t already have picked an offensive lineman. But the signing of D.J. Fluker to play right guard seems to suggest that the Seahawks have what they think is a potential starting five heading into camp — left tackle Duane Brown, left guard Ethan Pocic, center Justin Britt, Fluker and right tackle Germain Ifedi. Seattle also expects George Fant back to compete at the tackle spots. So Seattle may be more apt to wait until the mid-rounds and try to find a steal. Mahon was part of a powerful Penn State offense where he started at both tackle spots and both guard spots, but also is regarded as likely able to play center. That could be valuable for Seattle which at the moment has only Joey Hunt — who hasn’t played anywhere but center — behind Britt. The Seahawks signed veterans Shamar Stephen and Tom Johnson to beef up the middle of the defensive line. But each are on one-year deals and the Seahawks are always on the lookout to add some young interior help. Some pundits have the 6-3, 305-pound Atkins going a little higher — he’s regarded as having played an underrated role in clogging up the middle to allow All-American linebacker Roquan Smith to make tackle after tackle. He also has some experience playing fullback, which the Seahawks might find intriguing. Is this the year Seattle finally drafts a quarterback for the first time since taking Russell Wilson in the third round in 2012? Seattle has to add to the quarterback depth somehow after the release of Trevone Boykin last week. Expect the Seahawks to add a veteran, but Seattle will almost certainly add a rookie, as well, either via the draft or free agency. Litton is the polar opposite of Wilson physically — 6-5, 230 — and the Seahawks have leaned toward find similarly-built backups. But maybe with a new offensive coordinator a a desire to get back to leading with the run, they’ll look to switch things up. 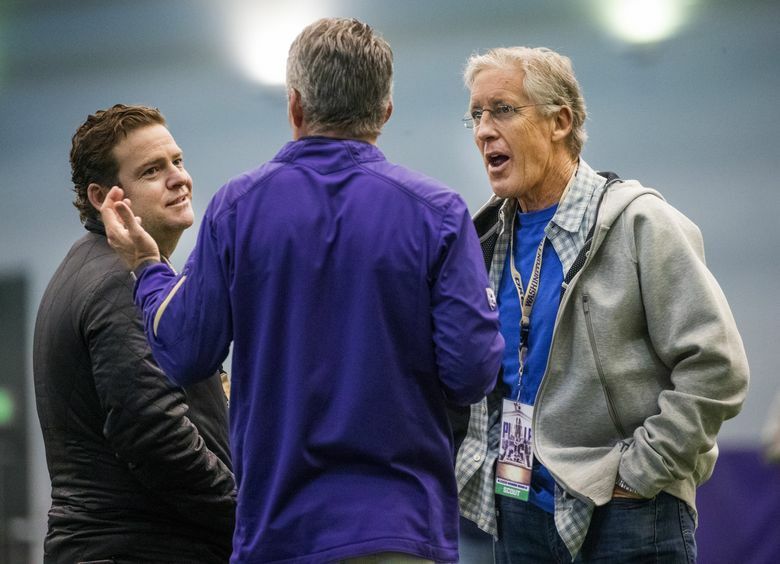 It’s also still sort of hard to see the Seahawks investing too much in a backup QB, though it’d be awful interesting if they do, given Wilson has two years left on his contract.